The Motorola Moto G 4G comes with Google Chrome as the default web browser out of box instead of the generic Android browser. While the minimalist interface hasn't changed since Chrome launched on Android, the browser is being constantly refined by Google, and this has resulted in one of the smoothest and most powerful browsing experiences we've encountered on a mobile. Of course, one of Chrome's strengths is its ability to seamlessly sync with the desktop version, using nothing but your Google account. This allows you to open an article on your PC and finish reading it on your mobile phone. It also syncs your bookmarks and favorite sites. Opening the tabs area reveals a list of tabs which can be closed, again with a left or right swipe. The animation accompanying this action is neat, too. Incognito tabs, which lets you browse without saving history or cookies, show up right next to regular tabs. The Calendar has four different types of view - daily, weekly, monthly and diary (agenda). Adding a new event is quick and easy, and you can also set an alarm to act as a reminder. Moto G 4G also features the Quick Office, which supports creating, viewing and editing office files (docs, xls, ppt), and it can also read PDFs. The Calculator and Clock app (with stopwatch, world clock and timer) are available by default. Motorola Moto G 4G comes with the Spotlight Stories app with augmented reality tales. It is really fun for children as it requires following a mouse (or some bugs) around the room with your phone. It's fun to play and entertaining. Motorola has implemented its own version of a Do Not Disturb feature via their Assist app. It will keep the Moto G 4G quiet while you're in a meeting or sleeping. While the sleeping option lets you configure the time interval, allow calls from a favorite contact or list of contacts and put through calls from the same person if they call twice in the interval of 5 minutes. 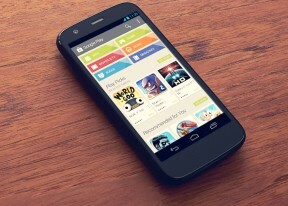 Motorola provides two more Moto exclusive apps - Motorola Alert and Moto Migrate. The Migrate app will help you transfer contacts, messages and multimedia from other Android devices or iPhones. The Alert app allows you to select your emergency contacts, input ready-to-go messages and in case something happens you can call your contacts, share your GPS location, or ask them to follow you. The latter will allow your Moto G 4G to share your location at specified interval. You bet Google Maps and its more thumbable Navigation counterpart are also part of the app package to utilize the built-in GPS/GLONASS receiver. They are most useful when you use them while you are online. Google Maps allows you to download offline maps of an area and even plan routes without a data connection but you can't search for addresses or POIs without an internet connection. On the positive side, it can plan driving, public transport, cycling and walking routes. It can also display pretty accurate traffic alerts as well (though it doesn't always take them into account when routing you). Whatever you may be missing, there is the always-growing Google Play Store available. Another great support tool, which is available to all Android devices, is the Android Device Manager. It keeps you connected to all Android devices, on which you've setup your Google account. It can help you find your misplaced device by ringing it and if it's not at the house, by finding it on the map. If it gets stolen, you also have the option to lock the device and delete all data. What few people seem to realize is that for the remote locking to work, you have to initially enable it on your smartphone via the pre-installed Google Settings app.